The process by which our government classifies documents is something that most Americans have little knowledge about. 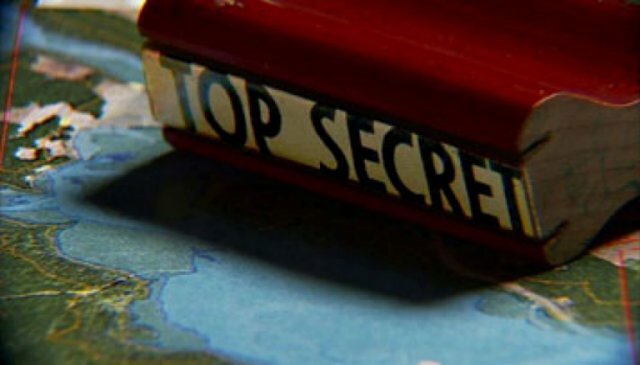 The models that exist for how and why a document is determined to be "secret" have been in existence since the end of World War II. With each year, the volume of documents that are classified outweighs the circulation of information that is open and available to us. In a single recent year, the United States government classified about five times the number of pages added to the Library of Congress at a cost of about eight billion dollars. To many in the intelligence community, the absolute need for this system of classification is an essential element of our country's ability to fight terrorism around the world. But is this level of secrecy impeding the function of national security or helping? FBI agents in the field were unable to access information about the 9/11 bombers because the intelligence was classified at too high a level. Is this system in need of a massive overhaul? Secrecy, a powerful and provocative new film by Robb Moss and Peter Galison, examines the complexities and layers of our government's obsession with secrecy and the effects it has had on individuals and on our government. Using original animation, a powerful score, and expertly edited interviews with both proponents and detractors of our government's policies, Secrecy takes us deep into the dark shadows of this process, shedding light on the implications of reasons behind the need to classify a document as secret-and also asking who polices the state's ability to do so.